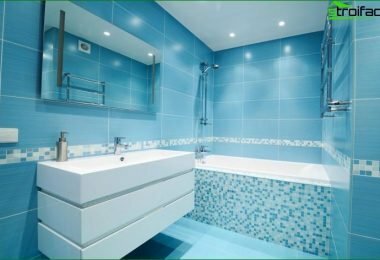 A small bathroom can be comfortable - how to achieve this? A bathroom more than once a day visiting allfamily members, you can get a charge of vivacity after sleep and relax in a hot bath or shower after hard working days. Therefore it is very important to make the room not only comfortable, but comfortable. Unfortunately, standard bathroom in the panel house is not very large in size. 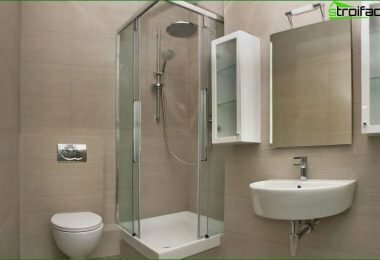 Nevertheless, even for 3-5 square meters, you can create a functional, unusual and comfortable bathrooms, thoughtful pre-repairs and design solutions to save space. 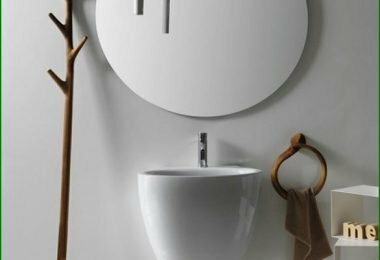 Now the Internet and magazines are full of ideas for the interior, which saves space in the bathroom, with its functionality remains high. Naturally, the main element is a bathit is a place for washing. 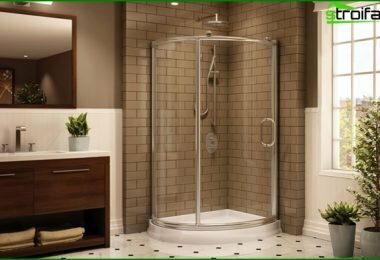 To save space, installation is better to abandon in favor of a full bathroom shower. Now on the market represented a very wide range of showers, gidroboksom that takes up little space. If you choose a model with transparent doors, it will create a space effect. There are even doors model that folded almost adjacent to the walls, thereby not obstructing visual room. For a sense of space can also be veryrefuse to shower, replacing it with a shower tray. In this case can serve as doors, glass doors, partitions or special curtains for the soul. 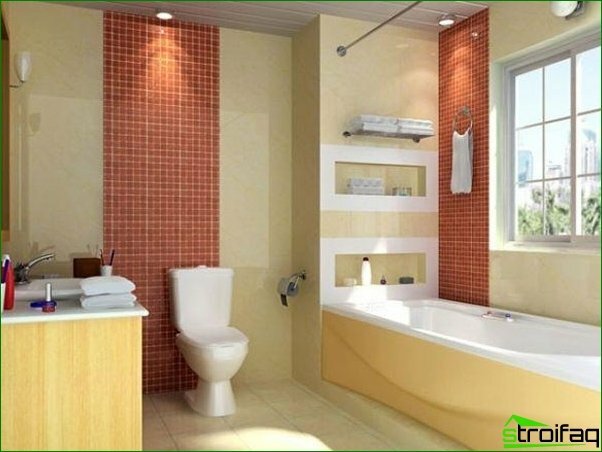 But if you are a lover of swimming inthe bathroom, even in a small bathroom is quite possible to find her place. It is better to give preference to a corner or sit-baths, which save space visually. bath options also fit with matching sink for washing, for example, a sink can be positioned over the bath in the form of a wing, so we can save some space and get an extra shelf for toiletries directly above the bath. Another must-have for the standardcombined bathroom is a toilet. It also should be selected taking into account the space savings. 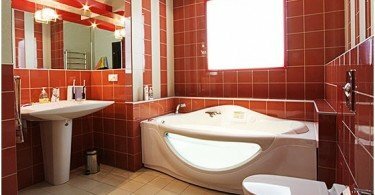 It is better to give preference to non-standard compact sets and models, tanks that are mounted directly to the wall, so the bathroom is just sitting. It is also very compact, modern hanging toilet bowls, which, despite the apparent fragility, can withstand up to 400 kg weight. Selecting shells too happy for quite a small bathroom, you can choose to your liking and angled version, and miniature bowls. It is also important to think in advance cabinets, shelvesbath accessories. Very comfortable radiators for drying towels, which are extra shelves for towels and bathrobes. The shelves can be made for the door-mirror and a wash basin, and above the door. If you select the shelves of glass and metal, they are not visually obstruct the precious space. Good studying and thinking over different designs, it is possible to create the bathroom not only functional, but also a cozy, warm room.